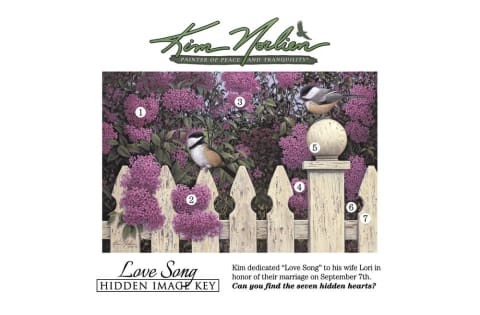 "Love Song" was painted by Kim Norlien for his wife Lori, in honor of their 20th wedding anniversary. They were married on September 7th so Kim put 7 hidden hearts throughout the image. Can you find them all?